Manky cat has officially been signed over to us! 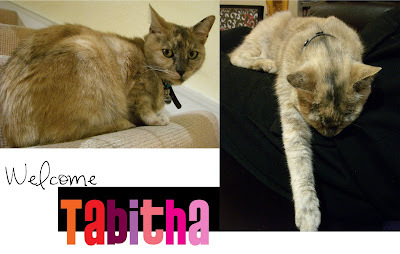 It’s probably best that we no longer call her Manky, so I’ve renamed her Tabitha (‘Tabby’ for short. And yes, after the little witchy daughter in Bewitched).